James "Pa"Ferguson was impeached in his second term after vetoing the University of Texas' entire budget. 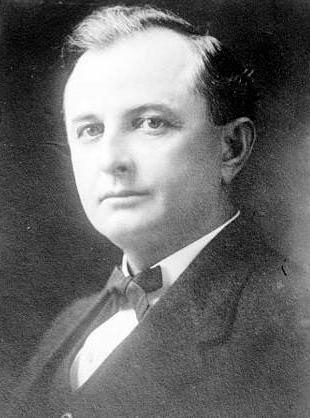 James “Pa” Ferguson was the 26th governor of Texas. He was the first and, for 97 years, was the only sitting Texas governor to have charges brought before him. The indictment of Gov. Rick Perry on two felony counts has many invoking Pa Ferguson’s name and, while there are similarities in the accusations leveled against them – both were accused of withholding state money for political reasons – that’s where most of the similarities end. KUT’s Jennifer Stayton spoke with Executive Director of the Briscoe Center for American History at U.T.-Austin Don Carleton about Ferguson’s indictment, his demeanor as governor and the similarities and differences in the charges faced by both governors. Apparently he had a bit of a "I am the king" personality and didn't take no for an answer, and expected people, as governor, to do his bidding and question anything. He's like a lot of people who really kind of love power too much. He was really guilty of overreach. This all started happening really at the end of the first term that he was in office. So, he started getting a lot of criticism, and he perceived that a lot of the dissidence that was coming against him politically were really emanating from the faculty of the University of Texas. He basically identified U.T.-Austin as the enemy. He didn't do as well as expected in his reelection campaign in 1916, and it stunned him. And he said, "Okay who's responsible for this?" He had also run into acting President William J. Battle near the end of his first term in office over the appropriation that the university had received. And, so, he and Battle had a dispute over the budget and Ferguson didn't like the fact that Battle talked back to him. I think he entered the second term determined to do the university in, or at least whip everybody into shape. As soon as he got reelected, he submitted a list of names of faculty members and demanded that the new president, Robert Vincent fire all of them. And, by the way, he was upset because he did not want Vincent to be president and he was very angry at the Board of Regents for appointing a president over his objections. They did a so-called investigation of the faculty members, and academic freedom won out in this investigation. And Vincent had to report, we’re not going to fire these guys. The Board of Regents then told Ferguson the bad news and, when the budget time came around, he literally vetoed effectively the entire budget of the university and then he gets indicted himself. That’s when the impeachment came up. You had the combination of him attacking, of zeroing out the university’s budget and, of course, the university community and all the ex-students at the university when crazy and launched a campaign against Ferguson. The House called itself into order, which was also a questionable thing because only the governor, according to the constitution, can declare a special session. He could’ve gotten them on the fact that they couldn’t legally call a special session, but then he turns around and calls a special session himself, gets them all into Austin and there they are. The reason he called the special session was because he wanted to address the UT budget, but they impeached him instead. The day before he was thrown out of office he resigned, saying it didn’t count. So, he quit ahead of time so he could then turn around…and he was counting on coming right back and getting reelected. 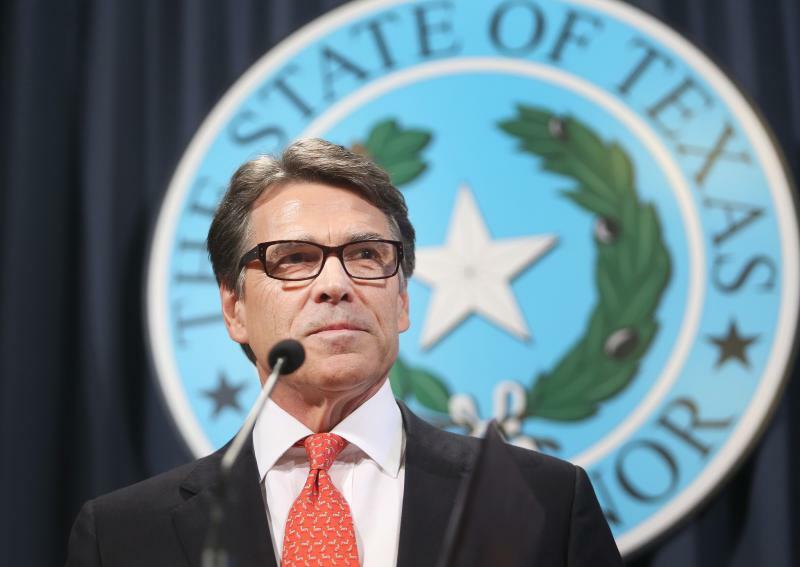 Texas Governor Rick Perry is facing accusations he broke the law two times when he threatened to veto state funding for a unit of the Travis County District Attorney’s Office that investigates public corruption. The story includes a lot of legal terminology, so here’s a decoder. 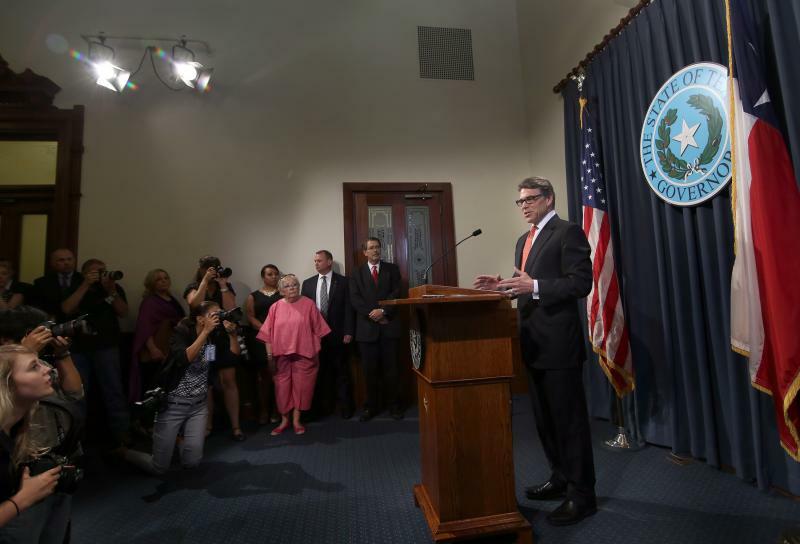 Texas Governor Rick Perry firmly rejected criminal charges connected to his 2013 veto of state funding for a public corruption unit in the Travis County District Attorney’s Office, labeling the prosecution a “farce” and promising to defend himself vigorously. “I cannot and I will not allow this to happen,” Perry said at a brief news conference at the State Capitol this afternoon. “I intend to fight against those who would erode our state’s constitution and laws purely for political purposes, and I intend to win,” he said.